When I posted the pattern for the Monster Granny Squares a bunch of you asked for minion squares… ask and you shall receive!! 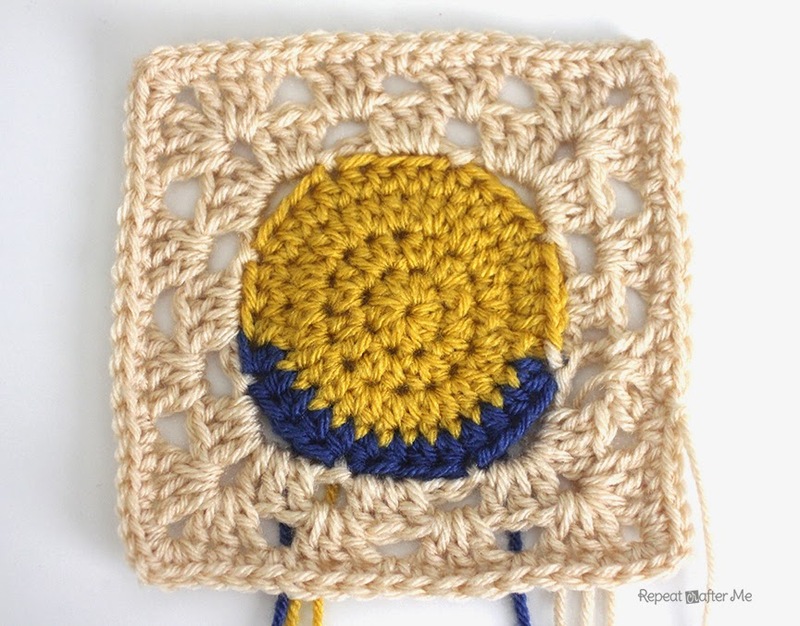 This Minion Granny Square is very similar to the monsters with a couple simple changes. Updated pattern is below. Feel free to make a two-eyed minion as well! And the fun part about these minion squares is that if you are careful, you could easily sew a face on both sides to make it reversible! Round 6: Now working inside the chain 4 spaces… Chain 3 + 2 DC all in same space, Chain 1, *3 DC + Chain 1 + 3 DC all in same space, Chain 1, 3 DC in next space, Chain 1, Repeat from * around, slip stitch to join to the top of the first chain 3, fasten off. Round 8: Continue to SC in each stitch around except when you get to the corners make 2 SC + chain 1 + 2 SC all in same space. Fasten off and weave in all ends. With black yarn, chain 15 or how ever many chains it takes you to make a piece long enough to fit across the minion head. Sew chain down and sew eye over black chain. Stitch one smile with black yarn and tie on black yarn for hair (trim short). If you stitch on your embellishments by only working your tapestry needle between the stitches (not all the way around the back of the stitches), you could also stitch on an eye/face on the back of the square to make it reversible! How fun is this?! Awesome! Hi Sarah, he's adorable! Love this one. Thank you. This is a funny square. The children will love this. Thanks for the pattern. 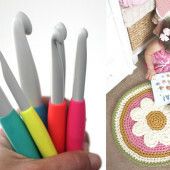 Your patterns are always so much fun, child friendly, and creative!! I have just the person in mind for this one . . . notice I said person!!!! He isn't child age anymore, but certainly remembers to keep it young and fun . . . that would be my cousin! 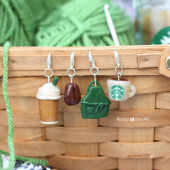 Thank you for allowing another great pattern gift into our crafty yarn tangled hands! Darlene P.
So adorable! You are really, really awesome! 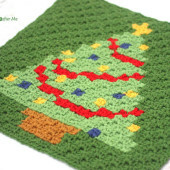 Visite meu blog – Tita Carré – Crochet Hello, I love your crochet, it is beauty, I love this colors, I follow your blog, I have a blog about crochet with free patterns and free crochet diagrams, visit me , hugs from Brazil. thanks so much for sharing! I know some children who will be thrilled with this, and not all of them under 18. lol! Can you show us how to make more minions? I’m am a VERY beginner….need help! Oh, how about a Seahawk granny square, GO HAWKS, and 12???? I’m dying to know if you live near me. Your patterns are amazing, and I want to thank you for sharing them with us all! My two boys are proud owners of owl, minion, and penguin hats 🙂 just wanted to make a minion hat for a friend but can’t find the pattern anymore…is it still available somewhere? 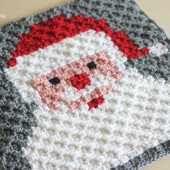 Thanks again and happy crocheting! Looking for minion crochet patterns in hats, mittens, gloves, blankets, pillows.